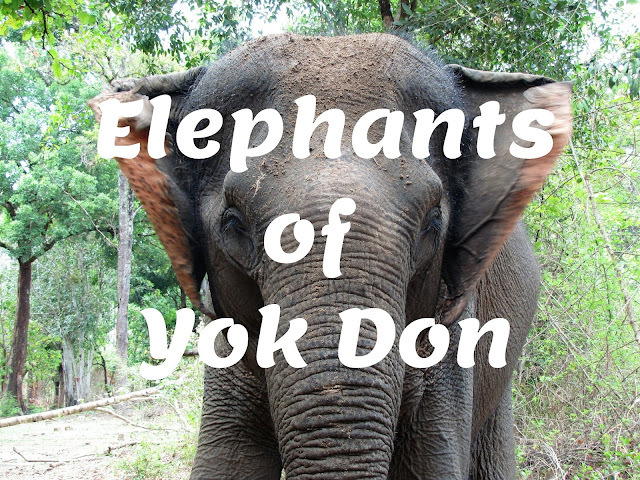 Yok Don National Park makes history by releasing its elephants and creating the first elephant conscious tours in Vietnam. They have created an eco-tourism initiative that replaces chains and cruel rides with observation and learning. When we went to Yok Don National Park back in April of 2018, elephant tourism was similar to that in the rest of the country. It was far more adventurous, for sure, but it was still all about giving tourists the thrill of riding an elephant. Most places are similar to what you may see here in the west. 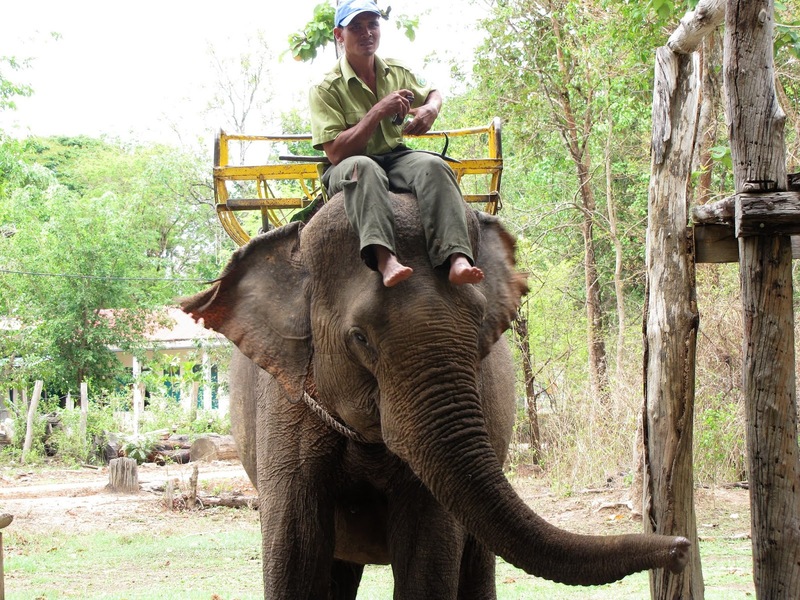 You climb atop an elephant, sit in a basket on it’s back, and a Mahout guides you around a particular path. These are hugely popular in Southeast Asia, by local and foreign tourist alike, and bring lots of tourism to an area. Elephant with a riding basket and a Mahout before the change to their new model of eco-tourism. This is an option at Yok Don as well, but is not normally why people went there. That being said, there was a Vietnamese family that did this in Yok Don when we arrived, but they were more fascinated and took more pictures with me and my beard than the did with the elephant. The main attractions of Yok Don National Park were trekking out into the forest to find the elephants, 1/2 - 1-day elephant rides through the forest, or bathing the elephants in the river. This area has been famed for their art of taming elephants for generations upon generations. Once they trained them for working, but now use the same training for tourism. For the Mahouts, this is their way of life. This is and has always been how they make a living. Elephants are their livelihood. 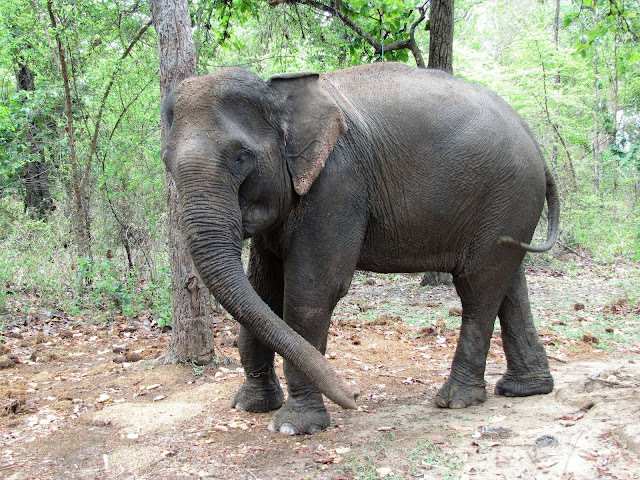 Elephant chained to a tree before they changed to their new model of eco-tourism. 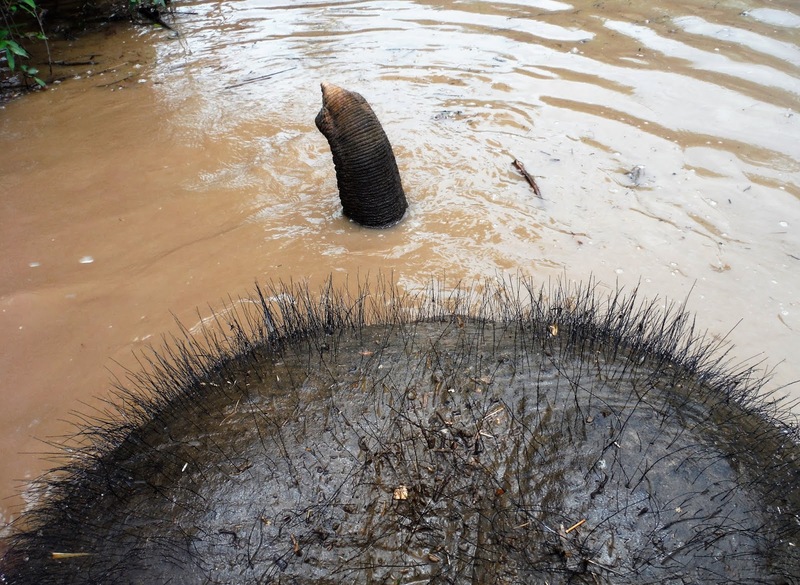 Fast forward a few months later to October 2018 and life changed for the elephants. In collaboration with Animals Asia, Yok Don National Park tossed the riding baskets, unchained their four elephants and let them roam freely around through the natural forest. They have regained their natural way of living, are able to forage for food, and intermingle amongst each other. The Mahouts didn’t lose their jobs or their elephants either. They are all part of this agreement as well. 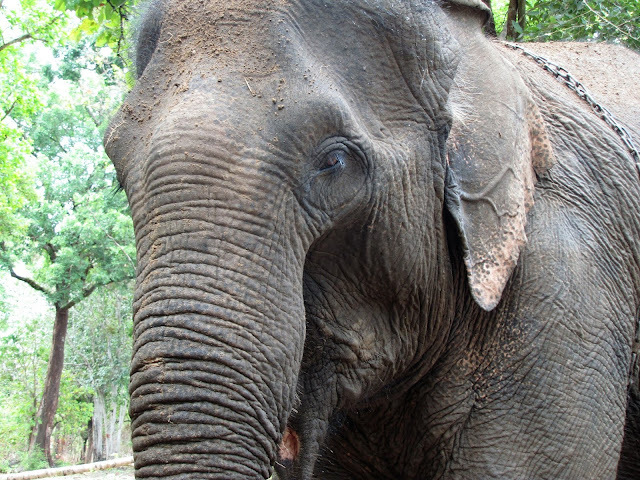 Instead of rides, they offer their services as trekking guides to observe their elephants and give information on the elephants and the forest along the way. It is hoped the new model of eco-tourism will provide as much or more profit for the Mahouts than elephant rides and become an example for other to follow. 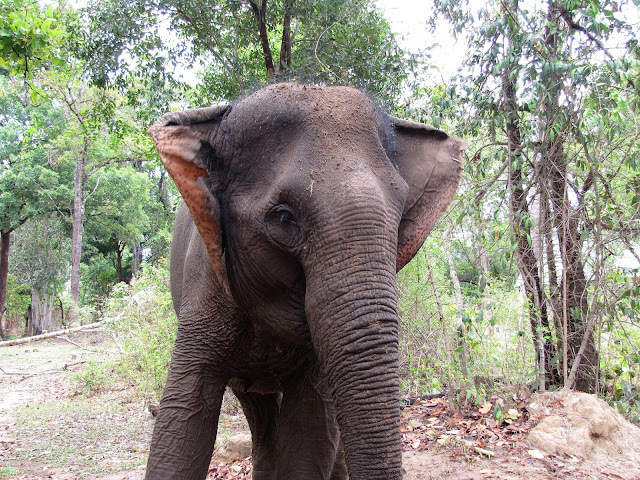 Today you can embark on Yok Don’s elephant experience to observe the elephants in the wild for a 1/2 or full day trek. The 1/2 day costs 800,000 VND/36.36 USD for the first person and 600,000 VND/27.27 USD for each additional person (max of five people). The full day costs 1,400,000 VND/63.64 USD for the first person and 1,200,000 VND/54.55 USD for each additional person (max of five people). 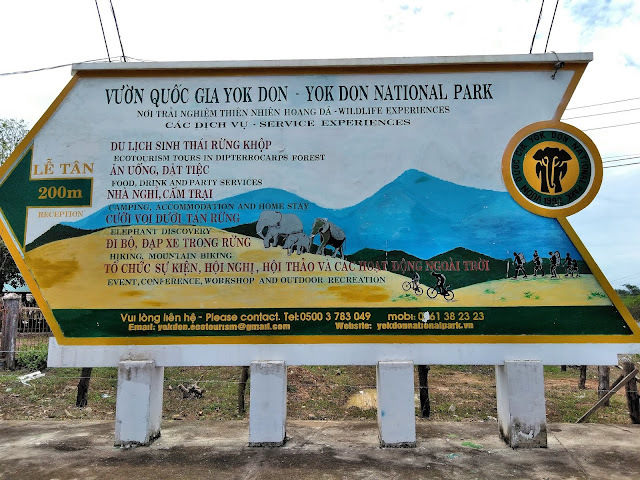 If elephants aren’t your thing or you want to get more out of your experience in Yok Don National Park, then they also offer 1/2 – full day hikes, trail cycling, fishing, boat rides, and traditional cooking classes. The sign for Yok Don National Park. To get to Yok Don National Park you will first need to travel to Buon Ma Thuot (BMT) first. 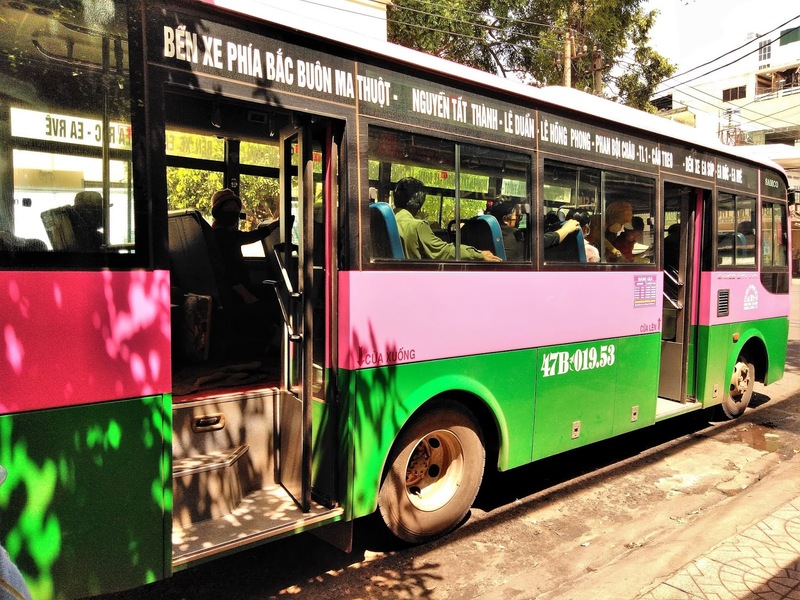 To get there from Nha Trang there are several bus companies that will take you. It should cost you about 140,000 VND/6.37 USD and will take you 5 hours. Most of the buses will drop you off either at the bus station or in front of the Co.opmart Supermarket. If you are going to spend the night in BMT there is a good cheap hotel nearby the supermarket called Thien Thu Guesthouse. If you are traveling from Ho Chi Minh City, I suggest taking Futa Bus, who has a direct route to Buon Ma Thuot. Futa Bus has an office in the backpacking district of HCMC that will ferry you to their bus station. A ticket costs 240,000 VND/10.91 USD and it will take you 9 hours. This is the local bus that will take you to Yok Don National Park. · At the provincial bus station (71 Nguyen Chi Thanh St. Tan An Ward). 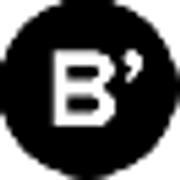 · In front of Co.opmart (71 Nguyen Tat Thanh St., Tan An Ward). · On Le Hong Phong Street, near Daklak Province Museum. When finding accommodations for your trip to Yok Don National Park you two options, you can either stay in Buon Ma Thuot (BMT) or at the national park itself. If you are wanting access to an array of restaurants, shops, and hotel options, then you will want to stay in Buon Ma Thuot. Buon Ma Thuot has many hotel options at every price level so you will have no problem finding a hotel to fit your needs. There are also many restaurants, a market, and a supermarket in town so you will have no problem finding food. On the other hand, you could stay at Yok Don National Park as well. A room at the headquarters is 350,000 VND/15.91 USD and includes breakfast for one person (breakfast is an additional 50,000 VND/2.27 USD for each additional person). There is also the option of sleeping in a tent or hammock in the woods, but you will have to stay near the headquarters. A tent costs 150,000 VND/6.82 USD and sleeps two people. A hammock costs 50,000 VND/2.27 USD. The headquarters also has a restaurant that is open from 6:30am to 7:30pm. Breakfast with coffee is 50,000 VND/2.27 USD and lunch/dinner is from 100,000 VND/4.55 USD to 300,000VND/13.64 USD depending on what you order. Share your experience of Yok Don below. I would love to hear what you thought!